Ambos has been recognized as a leading Belgian law firm at the Leaders League Trophées du Droit Awards Ceremony. 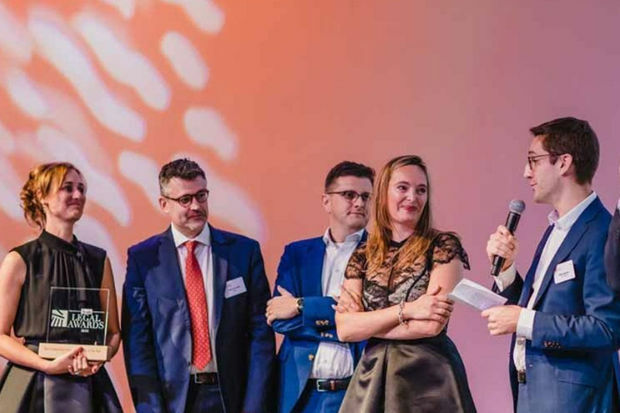 At the ceremony, held on 31 January 2019 at the Pavillon d’Armenonville in Paris (France), Ambos won the gold award in the Best Belgian Law Firm category. Click here to read article (in Dutch). Click here to see the news coverage by Kanaal Z (in Dutch).